The Digital Era is here to stay, but don’t be afraid! 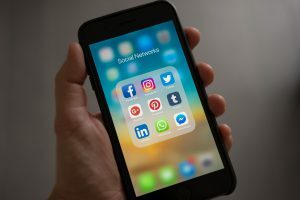 This can actually be good for your business, that’s why we want to tell you about “The good, the bad, and the ugly” of using Social Media for your business. Before we start let me ask you a question, when was the last time you used your phone, computer or tablet to check any of your Social Media? This means that more than 400 million people use Social Media. That’s impressive. On average, global internet users also spend 2 hours and half of the day on Social Media platforms; this is why Businesses are now using social media marketing and digital advertising more than ever as a way to engage more with their audience, increase brand awareness and increase revenue. Like a coin, there are 2 sides to Social Media and is well-known that reviews can be a dream or a nightmare for businesses. Since there is no control on them and they can’t be deleted, it is possible that some customers give you bad reviews and that can effect your rate on the internet, but instead of feeling bad about it you can see these bad reviews as a way to improve your service. In the other side from the customers perspective, those reviews are very useful because now potential customers can check the reviews of a place before going in there so they can make the right choice. It’s important to understand that one of the purposes of reviews, as I mentioned before, is to improve and keep the good quality of services and products that companies offer. Another thing to keep in mind is that you have to be very careful with the content that you post or share on your social media networks. Especially from businesses’ accounts, since there is a high number of followers, diversity of opinions, and broad points of view. One post can be a huge success because people were engaged and interested or can be a disaster because your audiences feel offended by it. That’s why we recommend to posting interesting, relevant and engaging content to get the attention of your audience. The same applies for b2b businesses, your posts shouldn’t be boring and just talk about your industry, b2b businesses can also post interesting and trending content in order to increase engagement with their customers. Social Media can make you or brake you and depends on you how to use it, remember to always make a plan with SMART objectives. If you work properly it can be a huge success for your company, it can make you gain new customers and reinforce relationships with the old ones.